This project will stabilize the streambank along the Jamestown Tributary to protect yards, trees, buildings, and infrastructure. The project will also address localized flooding along Jamestown Drive. 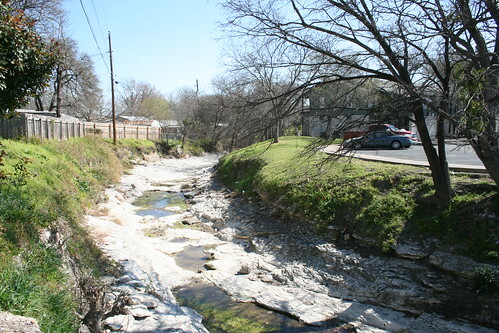 The Jamestown Tributary is a small creek that flows into Little Walnut Creek. Stabilize approximately 2,600 feet of streambank, from Thurmond Drive to Payton Gin Pocket Park, using natural limestone boulders, mechanically stabilized earth walls, and graded slopes. 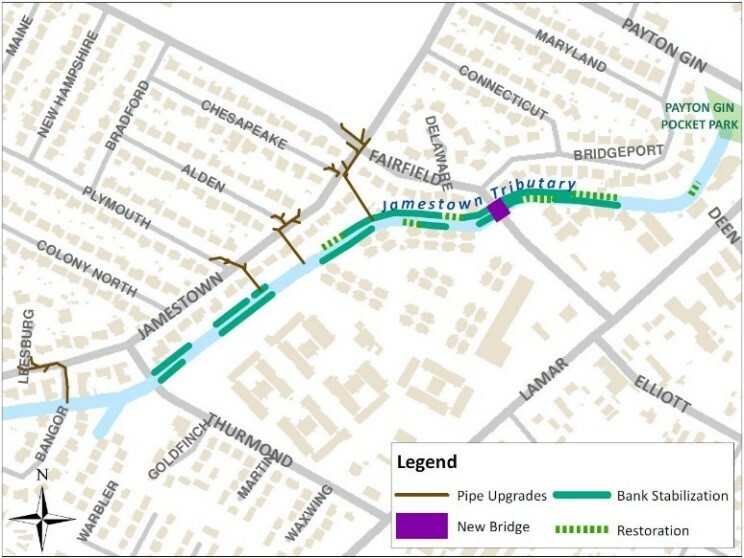 Upgrade storm drain pipes along Jamestown Drive to reduce localized flooding. Install a bridge over the creek on Fairfield Drive to reduce flooding over the roadway. 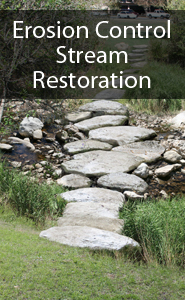 Plant native vegetation along the streambanks and remove large concrete debris. This will restore the natural character of the creek and improve water quality. Note: To construct this project and begin stabilizing the banks, we will need to purchase drainage easements along eroding streamside properties. A drainage easement gives the City limited rights of access or use. They are generally needed either to access and maintain infrastructure or to provide a place for water to flow. Residents should not build fences, walls, sheds or buildings within a drainage easement. The project is currently in the design phase. Construction is projected to begin in late 2020. To sign up for email updates on this project, please email Stephanie Lott.